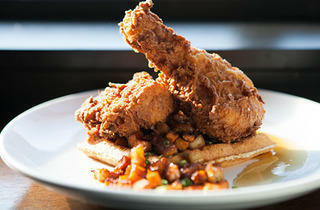 We let our readers choose their favorite dish of the year. Proving that we can actually be a little democratic here at TOC, this year we asked readers to tell us dishes they think should be on this list. Several of the suggestions were already picked by our critics (what can we say—we’ve got savvy readers); those that weren’t were narrowed down to a short list and put to a vote on timeoutchicago.com. 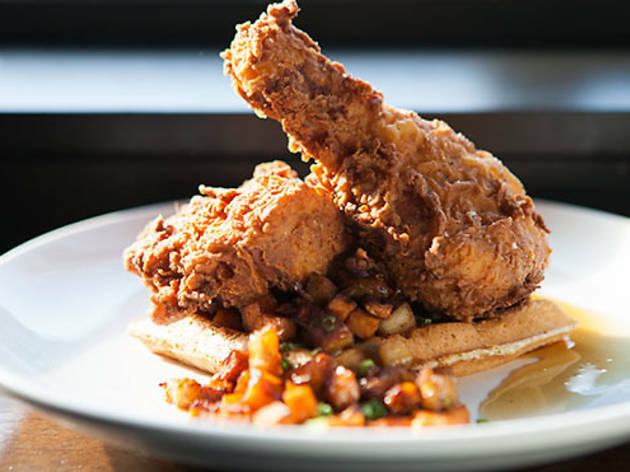 The winner: Longman & Eagle’s chicken and waffles, which itself is as democratic as a brunch dish can get—because it’s served every day of the week.